Highway 93 starts at Jasper National Park Canada in the North traveling through Montana, Idaho, Nevada, and Arizona before ending at Nogales Mexico in the South. 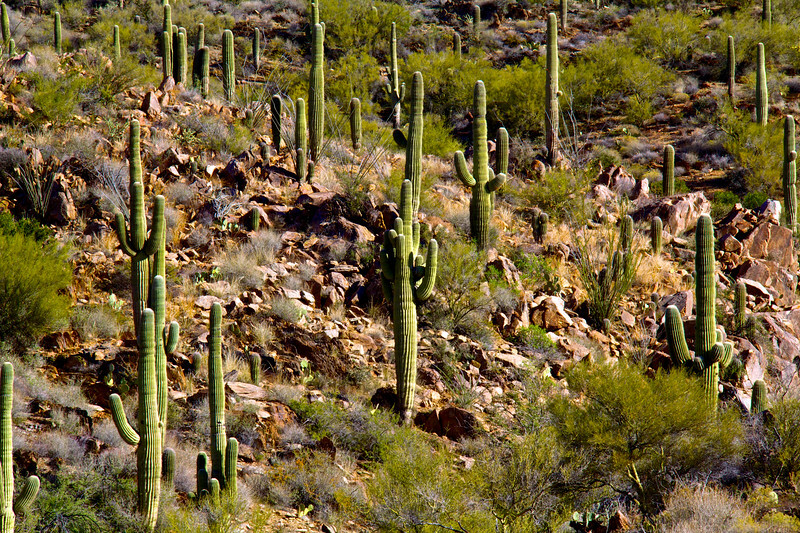 Driving south toward Phoenix one can see thousands of Saguaro Cactuses along the highway while passing through the Prescott National Forest. Their slender armed forms stand firm on the rocky slopes with their heads high in the dark blue sky.